In addition to changes in power devices being implemented to meet market trends that I discussed in previous posts, there are significant shifts taking place in the locations where these components are manufactured. Over the past 10 years, we’ve seen an increase in power device manufacturing in China, Europe and South East Asia and a subsequent drop off in North America. If we look at the market opportunity, the rise of battery powered and connected consumer products and electric vehicles are expected to drive strong demand for power devices. As shown below, growth in smartphone demand in China is matched by a rise in power IC consumption. The industry expectation is for China to become a major design and manufacturing source of semiconductor devices including power devices. 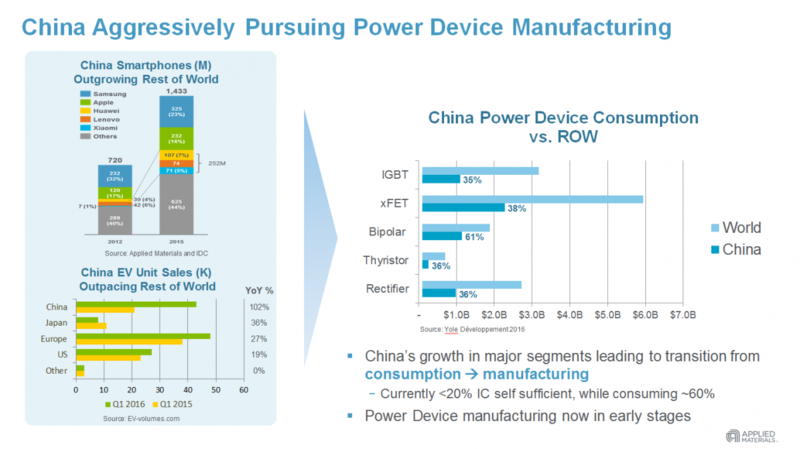 Today, we are seeing the early stages of power device manufacturing in China. Initial manufacturing is expected to produce simple diodes and power MOSFETs. Volume manufacturing output of more complex power devices such as IGBTs is expected later. And possibly in an even later stage, we may see wide band gap devices. In fact, China has already positioned itself as a major player in the SiC substrate business. The development of power IC manufacturing in China has been facilitated by the plentiful number of 200mm fabs in the country. Strong 200mm capacity growth should continue in China as the majority of smartphone device content and discrete/power, MEMS and analog chips are made on 200mm equipment. For Applied, the increased industry demand for 200mm tools has led to robust equipment sales over the past few years. Given the need for high yield, our 200mm tools are upgraded to address a full spectrum of technology and productivity requirements. For China, growing its domestic capabilities in the semiconductor industry is an increasingly significant and strategic priority. According to the World Semiconductor Trade Statistics 2015, China buys about half the semiconductors sold each year. But VLSIresearch reports that the share of China’s domestic IC production is relatively low at roughly three percent of the IC market. 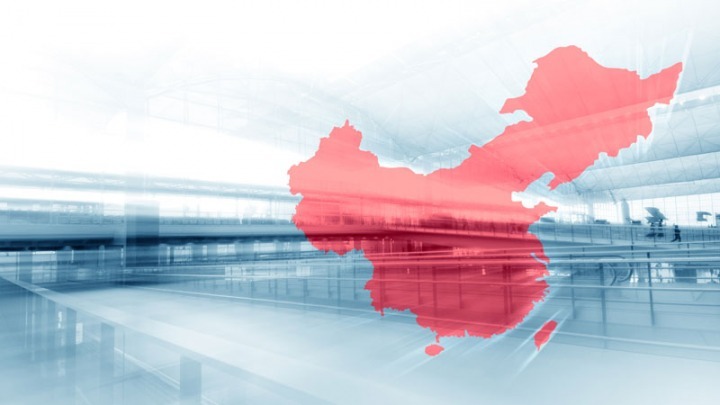 As the Chinese market grows, there is a strategic drive to close the gap between demand and supply, resulting in increasing levels of investment. Ambitious efforts by the government to create a promising investment environment for domestic and multi-national companies have been favorable and are already changing the market. Recent initiatives include the National IC Investment Fund to help attract more investment and provide seed capital and the National Guideline for the Development of IC Industry that sets milestones to guide and support progress in advanced packaging, memory and other technologies. With China beginning to invest billions of dollars into its domestic semiconductor industry, we are seeing IC manufacturing in the country rapidly gaining momentum.